You don’t have to be a percussionist in symphony hall to justify a real drum. Music is for everyone: it’s a way we express ourselves as humans. If you want to play, you deserve to have the tools to express yourself just the same as a professional percussionist on broadway. That’s what we do. We’ve made drums that are in symphony halls and Broadway pits and touring around the world: we put the same attention to detail in the drum we make for every player. Whether you’re playing on tour or on your back porch, we make unique, hand-crafted instruments to support the way you express yourself with music. We love instruments, and we love sounds. Making something beautiful that creates the sound that you want is what really gets us up in the morning! We love working together to figure out how to bring a drum that is uniquely yours to life - especially if it’s an instrument that doesn’t exist yet. 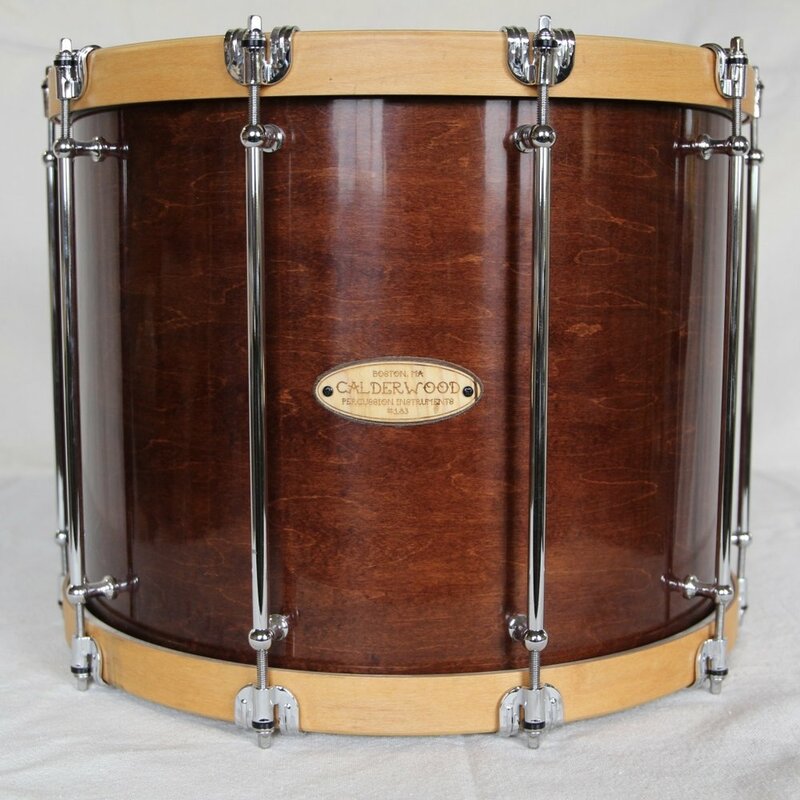 Whether you’re looking for a custom replica of your grandfather’s jazz kit, an obscure historical instrument referenced in a composition you’re playing, or just the baddest new snares your drumline’s ever had, we love making custom instruments! In Symphony Hall, on Broadway, or in your local community orchestra - we’ll make sure you sound great. Classic reproductions or entirely new creations, your custom kit will look and sound fabulous. Full-size and Kid-size: the family that drums together, stays together. Whether you know exactly what you want or you just have the beginnings of an idea, we can help!